Brian Green had just boarded a Southwest Airlines flight in Louisville, bound for Baltimore. As he settled into his seat, he said he remembered to power down his smartphone – a Samsung Note 7. Then, he said something strange happened. "I looked around to see what that popping noise was and there was just smoke billowing, pouring out of my pocket,” Green told Louisville TV station WLKY. “I pulled it out of my pocket and threw it on the ground real quick and it continued to smoke for about 4 or 5 seconds heavily, and then that kind of filled up two or three rows in front and behind us in the cabin." 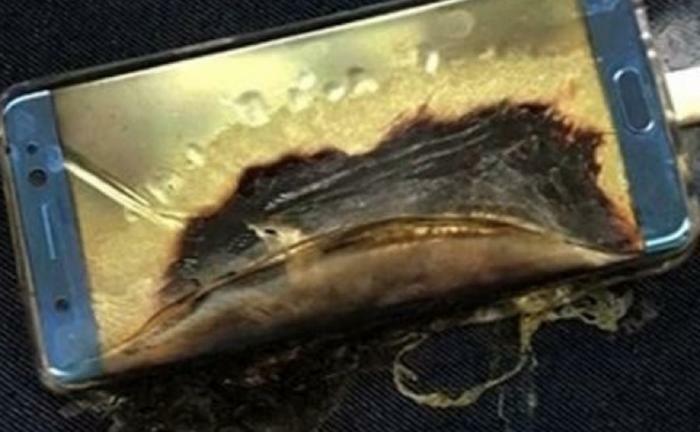 The smoldering smartphone forced evacuation of the Boeing 737 as a precaution. The plane was still at the gate and no one was injured. But the overriding concern at this point is that Green says his smartphone was not one of the original models recalled because of their fire danger, but one of the replacements. One that was not supposed to explode and catch fire. Late Wednesday, technology site TechnoBuffalo caught up with Elliott Kaye, Chairman of the Consumer Product Safety Commission. The site quotes Kaye as saying the agency has been in contact with the Federal Aviation Administration (FAA) and Samsung to investigate what happened and why. Samsung, meanwhile, said it is trying to recover Green's phone so that it can fully investigate it. Until then, it said it will not confirm that it was one of the new replacement devices. But The Verge reports it has independently confirmed the device prompting the evacuation was, in fact, one of the replacement Note 7s, distributed in the last couple of weeks. The publication said it spoke with Green, who said he picked up the phone at an AT&T store September 21. It also reports a photograph of the box shows a black square symbol that marks it as one of the replacement models. The Samsung Note 7 was introduced on August 19, but by September 2, Samsung began recalling all the phones it had sold, promising replacements, after a series of incidents in which the phones exploded or caught fire.